I’ve touched on this topic before and it’s no secret that closet editing is one of my favourite activities (I know, nerd alert!) so I wanted to revisit my approach after learning a thing or two over the last year. It feels so good to open my closet doors in the morning and see only the things that I truly love to wear. It’s liberating, inspiring and a great way to start the day! Yet, whenever I talk about closet edits and the like, I often hear people say, ‘Ah, I’d love a lean closet but I just can’t bring myself to let go of things.’ and I definitely appreciate that, believe me! For years I really struggled to edit my closet properly. I would end up just reorganizing my stuff rather than actively eliminating things. Before I knew it, I’d be right back where I started, in front of an overflowing wardrobe with nothing to wear. I’d keep things because they were “cute”, “fun”, “expensive” or something I’d wear “one day” but really, I never wore any of it again. Meanwhile, someone else could have been enjoying it. The truth is, whether we acknowledge it or not, we get attached to our clothes (and possessions in general). Sometimes it’s a matter of nostalgia, like an old sweater that was knit by a family member or a vintage t-shirt from your college years. Sometimes they represent a version of ourselves we don’t want to let go of, like a pair of tiny jeans that only really fit when you were 22. Sometimes they have explicit monetary value like a fancy bag you bought as a treat but haven’t used for a year. Whatever the reason might be, it can be hard to let go of these things. But what I’ve finally come to accept is that they are just that, things. And once they’re gone, 99% of the time, you won’t miss them because the rewards of a lean closet are far superior to the loss of unworn, space stealing stuff. See what’s really in your closet. Reinvest in you favourite items. Achieve a much clearer sense of your personal style. Help you to avoid adding items that won’t get worn. Let go of the ‘stuff’ that’s been holding you back. Maybe it’s a number of items you’d like to get down to. Closet overflowing? 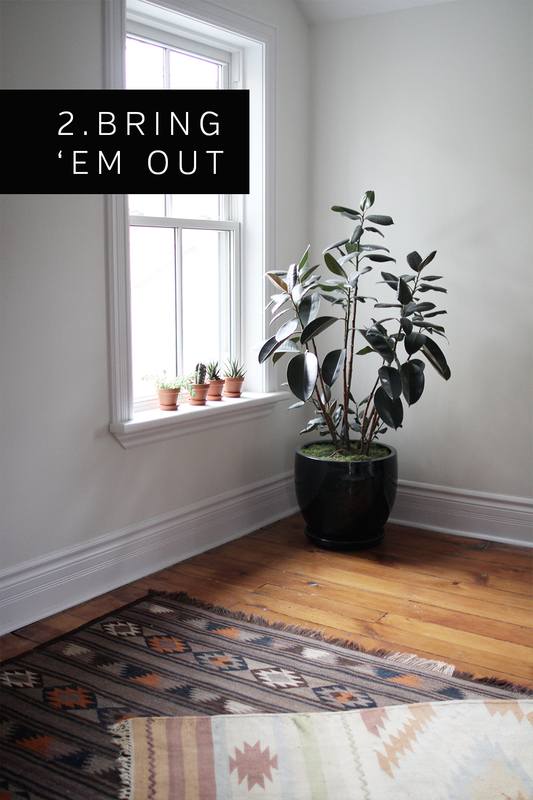 Perhaps you’re simply looking to get rid of enough items to have room to see what’s there. This is a good goal for first time editors. Maybe you need incentive like a big box or bag to fill. I find this trick useful especially if you’re inclined to talk yourself into keeping things. You can’t stop until the designated space is full! It’s a really good idea to have a few keywords that describe your personal style in mind while editing. Mine are CLEAN, CONSIDERED, VERSATILE and UNIQUE. Whenever I’m on the fence about an item I ask myself if it accurately embodies these words. Works like a charm! Need help defining your style? No prob, give my 5-Step style defining process a try! Give yourself an uninterrupted afternoon (or at least an hour +) and some room to pull everything out and begin sorting. I’ve found I’m much more inclined to edit thoroughly if I can see the overwhelming amount of ‘stuff’ all at once rather than editing categories at a time. It’s going to be messy for a bit, but it’ll be worth it! Set up a couple big bags or boxes to put your unwanted items into. Designate a clothes rack (I use this one) or a bench or your bed for the ‘keepers’. Now it’s time to bring everything out into the open. This is a daunting step and one I used to avoid (and still couldn’t bring myself to document!) but it’s the best way to get a much needed look at everything you’ve been stowing away. So haul out the sweaters, the jeans, the boots, the bags, the coats, the hats, the jewelry, THE WORKS! If you really can’t handle the mess (like me!) or you simply don’t have room to make it, then pull out as much as you can manage at once. This might be all your shoes and accessories or maybe all your tops in general. I went with clothes in one phase and then shoes and accessories in a second phase. These should be items you love to wear and reach for again and again. Keep these 10 items somewhere handy so you can refer to them later. 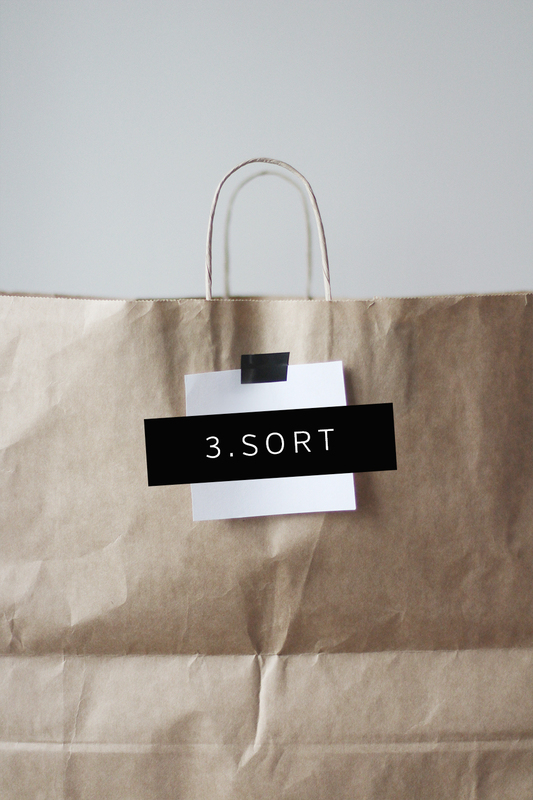 SELL – This bag is for good quality items you’re ready to part with that are in excellent condition. Anything that looks like new or has only been worn a few times should go here. High-end items in good condition can also go here. LOCAL CONSIGNMENT – It’s highly likely that there is a consignment shop in your area. Just make sure they have a good understanding of brand names and offer no less than 40% of their resale price. DONATE – This bag is for good condition items that might not be worth anything in terms of resale. Most items from mall brands such as H&M, ZARA, TARGET and Joe Fresh fall under this category. 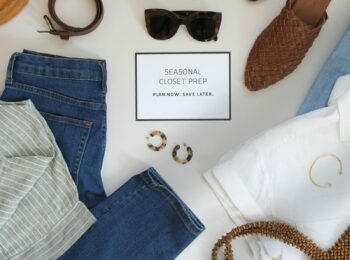 You can probably find a clothing donation bin in your area and shops like Madewell will accept your old jeans, send them to Blue Jeans Go Green (for housing insulation) and give you a $20 USD discount. 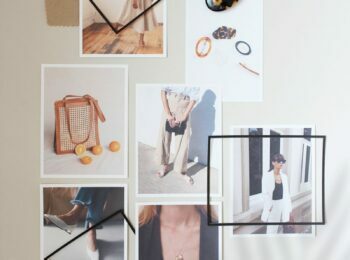 When you order through CUYANA and select ‘lean shipping’ they’ll send a pre-paid mailer for you to fill with clothes you’re done with and donate them to H.E.A.R.T. plus you’ll get $10 OFF your next purchase (USA only). BRASS also offers a clean-out bag, which is a pre-paid poly mailer that sends your unwanted clothes directly to their recycling partner and diverts textiles from landfills. TOSS – This is essentially a garbage bag. You know those old, stained, ripped, disintegrating t-shirts, socks and undies that have been lurking around way too long? Those go in this one. Did I wear this in the last 6 months? Does this fit my style goals (aka those key words you started with)? Am I excited to wear it again? Did I feel good the last time I wore it? Does it have an irreplaceable sentimental value? Can I wear it during the upcoming season? If the answer is ‘No’ to more than 1 of those questions it’s most likely time to part ways. D | REPEAT this process until you’ve made it through your entire closet. If these questions aren’t working try this closet detox cheat sheet from Into Mind or take a look at Spark Joy by Marie Kondo for tips on when to let go. NOT ALLOWED! Well, OKAY but JUST this time. 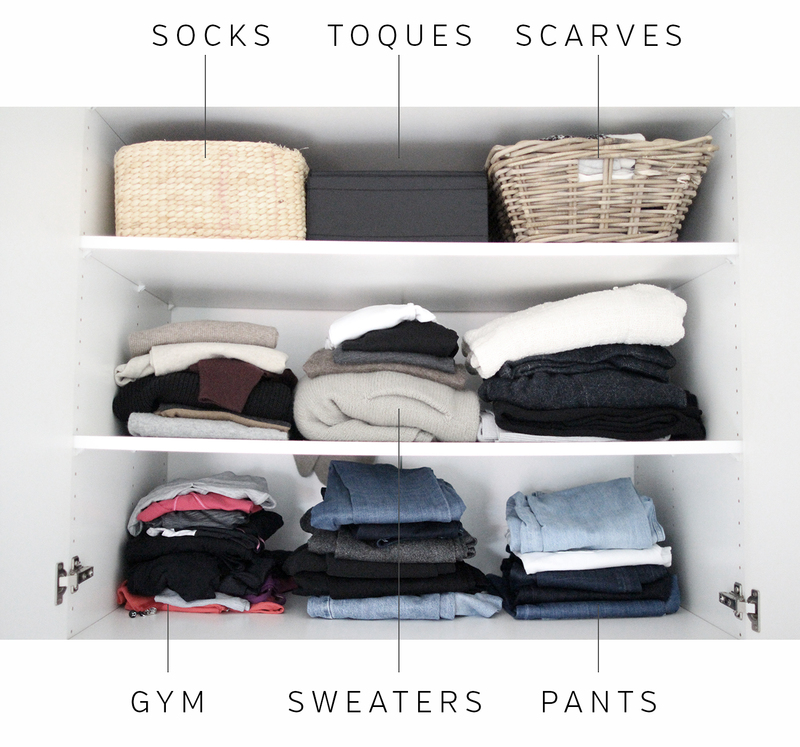 Try leaving a designated area in your closet for items you’re on the fence about. Then as the season goes try them out and see if they really do work or if they’re just wasting space. I used to ‘maybe’ my way through every edit and then sure enough 6-months later I’d be staring at those same unworn items, wondering why I couldn’t let go sooner. So just try to keep the pile to 10 items or less and make sure you reassess them carefully (and ruthlessly) next time. E | CONDUCT ONE FINAL SCAN OF THE ITEMS YOU PLAN TO KEEP. Look for outliers in terms of colour, pattern, shape and style as these might need to be reassessed. If you were on the fence about any potential keepers revisit those and do a quick gut check, asking, ‘Should this really stay?’. Your instincts will answer that in a split second, just try not to ignore it. OK! 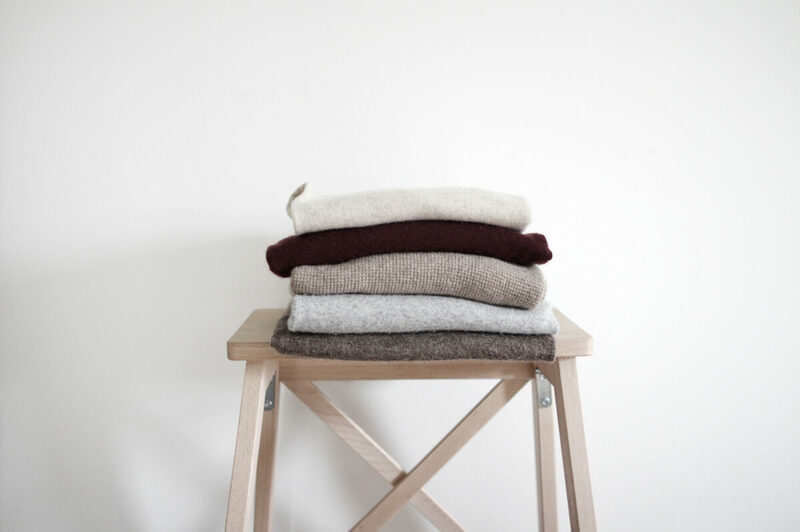 Now you’ve got your ‘goodbye’ piles all set (get them out of sight asap or you might regress!) 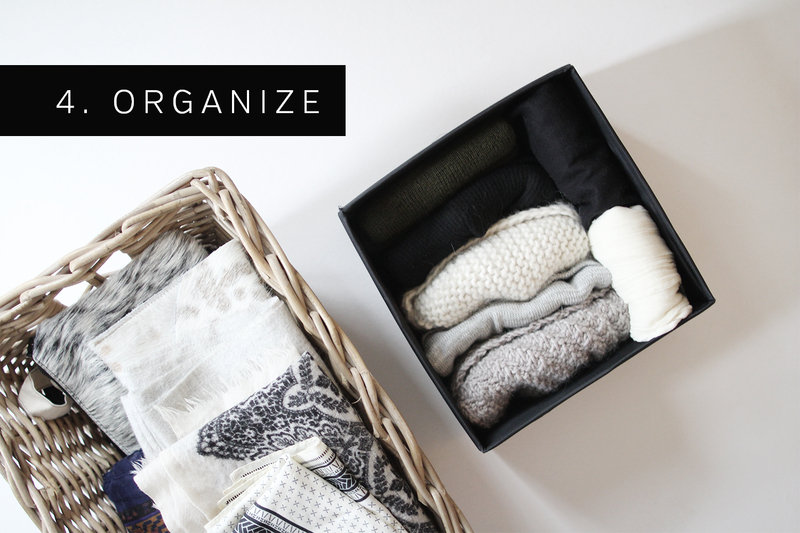 and your ‘keep’ piles eager to find their special spot on a shelf, hanger or drawer and it’s time to ORGANIZE. It can be tempting to rush through this step and simply shove everything back on a shelf or heave it onto a hanger but being thoughtful and methodical at this point will help a lot in the long run I promise! Shoes love to hang out with shoes, sweaters with sweaters, hats with hats, coats with coats and pants with, you guessed it, pants! This may seem like an obvious one but I’ve definitely let things slide a few times and wound up with a garbled mess of a shelf, which is no fun! For example, I usually treat my gym and ‘comfy’ clothes as one jumbled drawer but this time I offered these categories a bit more respect and gave them their own sections and I’ve already found it so much better. Whether it’s through baskets, boxes or in-drawer barriers it’s really helpful to have a physical delineation between sections and categories. This is especially helpful for drawers filled with smaller items like socks and undies. For instance, one of my underwear drawers is shown below. I keep my briefs in a box, my sockettes in a box and the remainder of the space is for my soft bralettes. I do the same for my thongs, underwire bras and sports bras in the next drawer down and it works wonders! 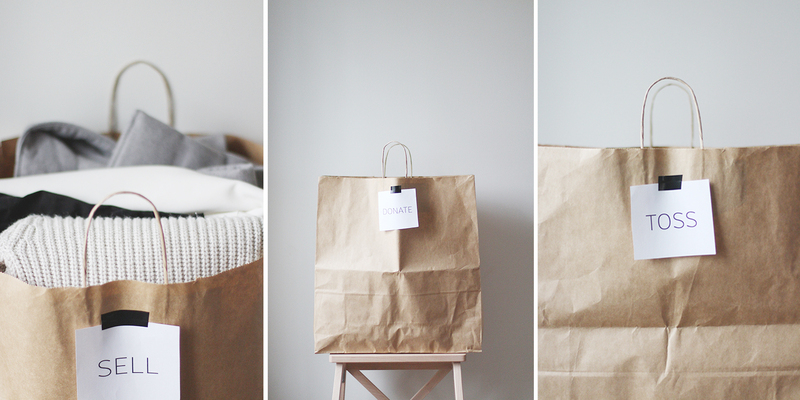 This organizing approach was inspired by this post on Unfancy and IKEA has TONS of small storage solutions. I’ve found that having defined locations, even if on a shared shelf, for specific categories makes getting ready so much easier. It also helps you keep much better track of what you have. The key to this is leave some visual space around the sections, especially if you can’t add a physical barrier. This is really helpful if you don’t have a giant walk-in closet and need to keep things in a variety of spots, which I do. I have my tops, jackets, dresses, underwear, loungewear and special occasion items in one closet and my sweaters, pants, workout gear, accessories and shoes in another one. Knowing exactly where each category lives makes pulling an outfit together so easy, even if it’s spread out over two rooms. A great way to give yourself more closet space is to store clothes that you won’t wear for a few months like sweaters, boots and coats in the summer and light dresses, shorts and sandals during the winter. I’ve been using a set of bins from IKEA for years and they slide easily under the bed. I keep my camping gear and specific seasonal items tucked away and it’s been a good system so far. Just don’t forget you’ve stored stuff when the season comes back around! 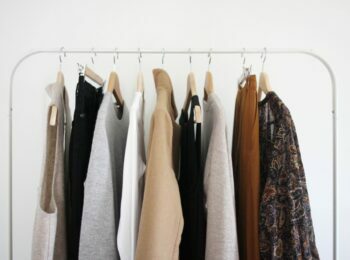 My closet has very few drawers to speak of as it’s mostly hanging rods and open shelves so I simply hang my tops, dress and outerwear and fold my sweaters and pants. But if you’re working with drawers the KonMari folding method is probably your best bet (see demo here). Now you’re probably feeling pretty darn good. You’ve got a beautifully edited closet, bags of clothes ready to sell or donate and maybe you’ve even got a better sense of your personal style. Awesome! 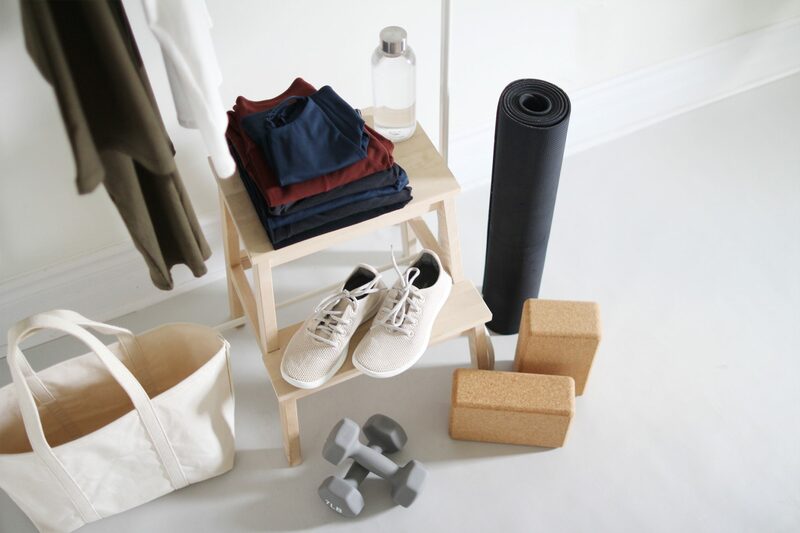 Now not to be a buzzkill but if you aren’t careful, you’ll be right back where you started, so here are a few easy ways to maintain your new lean(er) closet. Conduct regular closet edits every 3 to 4 months. This is my main tactic and so far it’s worked wonders! Plus it gets WAY easier the more you practice. My last edit only took about 1 hr start to finish. Stick to a 1 in 1 out policy so you never add something without getting rid of something else. Embrace a Shopping Fast where you don’t shop for 30 days straight. It’s a fun exercise for your style and your wallet! Read more about Shopping Fasts here. Make A Wish List and shop selectively. Read more about why I swear by seasonal Wish Lists here. Try keeping a wear count to see how often you’re actually wearing certain items in your closet. 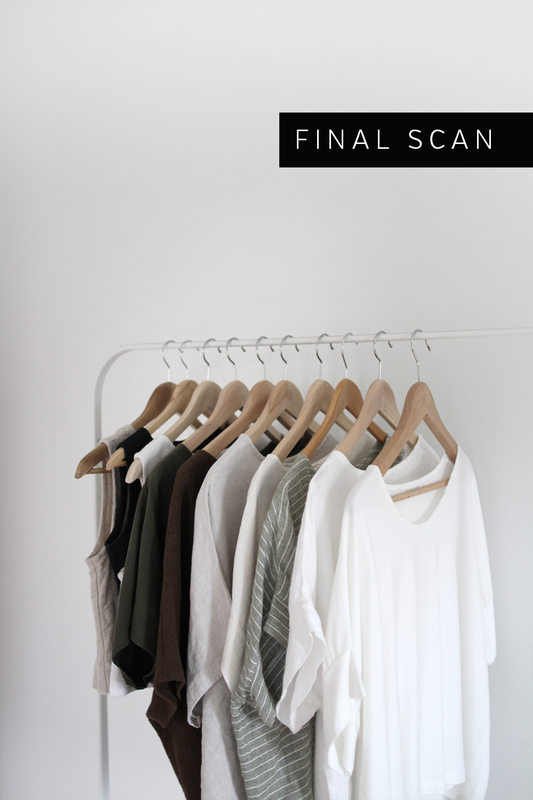 Read about why and how I used a wear count to analyze my closet last year here. Use the hanger flip trick. 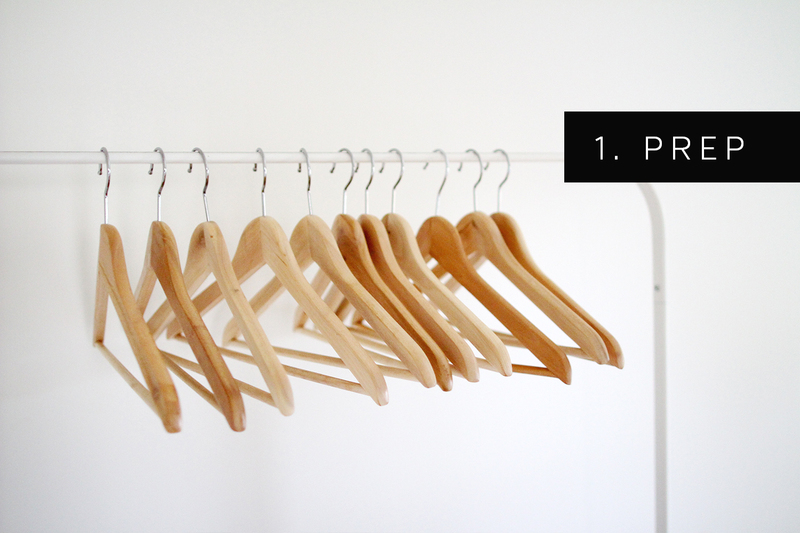 Each time you wear an item flip the hanger around and move the piece to one side of the bar. This way you can immediately see what you’re wearing and what you’re not! Do you have any closet editing or maintaining tips? I’d love to know! This post is not sponsored but contains affiliate links. When you shop via the links above I may make commission on a sale at no additional cost to you. Thanks for supporting Style Bee! All opinions are always my own. I have allowed myself a maybe pile when I went through konmari BUT (this is a big but) I made a point to wear that specific item during the week and judge how the item made me *feel*. Did I feel more beautiful/interesting in it? If not, I added it to the outbound category. 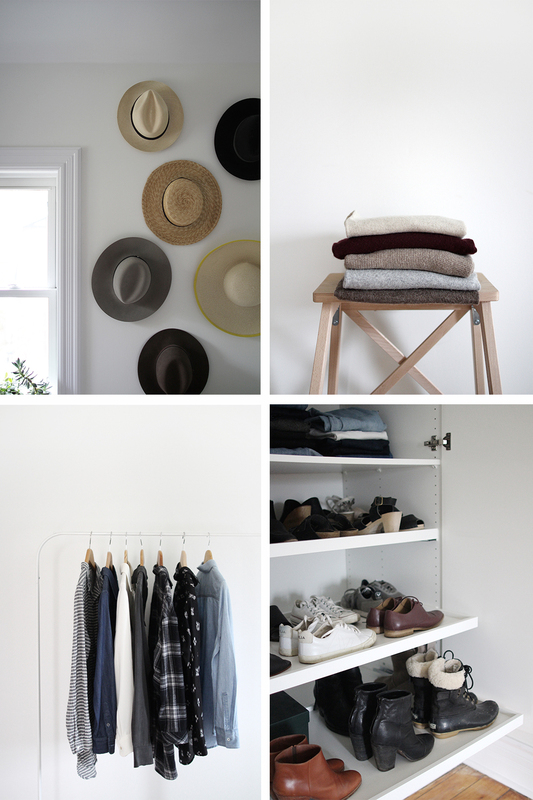 I just finished editing my closet with the suggestions from this post. It was fun! I had previously paired down my clothes using Marie Kondo’s method, but this process really helped me hone in on my personal style. Also, it helped me come up with new outfit ideas and get rid of a few items that just don’t work for me anymore. Thanks so much for this great post. My mom’s friend asked me to help her “detox” her closet (well, my mom kind of volunteered me for it) a while back and since she is the type of person who is easily overwhelmed I allowed her a “maybe” pile, but with a catch. We did the categories method and as we went through each “load” she had to give it a ‘yes’, ‘no’ or ‘maybe’ for the first go around. The catch was after each “load” was done she had to go through the ‘maybe’ pile again before she could move on to the next thing and had to give only a ‘yes’ or ‘no’. Maybe only like 3 items tops became a yes, everything else was a no. There was only a ‘maybe’ pile for the first couple of “loads” and then she got in the swing of it and didn’t need it anymore. I think it was helpful for her since she had never done anything like that before, but it really only worked because I was there to force a decision so that’s something else to keep in mind. Great post! I love going through my closet regularly and I’ll definitely use some of these tips next time. One tip for your “trash” pile though: H&M takes takes bags of old, unwearable clothing and fabric for recycling, and they’ll even give you a %15 discount on your next purchase. This has worked for me at both locations I’ve tried here in San Francisco and I’m pretty sure it’s supposed to be at least a national program. I know recycling clothes isn’t easy for everyone but I always try to encourage people to make an effort if possible. All clothing ends up unwearable eventually and that’s a lot of waste! I love these posts because each time I get really motivated to check my closet again end see what can stay and what needs to leave. Last year and a half I have already done several declutter sessions, not because I had too much but more because it wasn’t my style. And too be honest, beginning of this year I thought I had finally found my style but just recently I discovered that again I had not been listening to my heart (again) but more to what the magasins told me to do. So another declutter session had to be done at the end of this summer. It made me sad sometimes because I had spend a lot of money and I realized that it didn’t made happy at all. 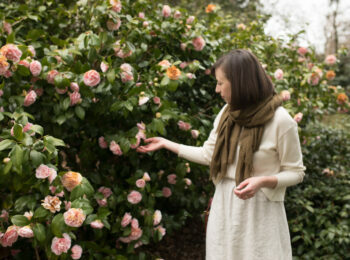 In the end it was you and your blog that helped me to follow my heart regarding the choice of my clothes. I like the way you dress, relaxed fit, somewhat oversized and still elegant and timeless and it made me realize that one has to dress the way they want without feeling forced to wear the pencil skirts that everyone else is wearing but because it’s fashionable at this moment. You have your own timeless, elegant style and I can see that it’s really you and not some fashion trick. 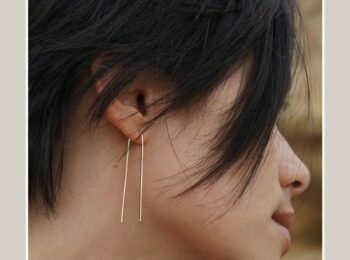 And that gives me the courage to also choose my own relaxed, somewhat oversized style in which I feel really happy. So, thank you for that and keep posting these lovely posts! And I love organizing the KonMari way as well 🙂 ! Martine! Thanks so much for extending your thoughts on this topic and for the kind words. So appreciated! It’s taken me a few years of really focusing (probably too much) on what I love to wear and what I feel like my best self in. That usually doesn’t mean my most comfy or my most stylish. It’s always a balance. What I’ve realized is that when I feel put together, unique and at ease is when I’m most confident and excited about an outfit. But it definitely doesn’t happen every day and sometimes, even now, I look at my options and deflate a little. Giving yourself some time to experiment and taking the pressure off finding the ‘perfect’ anything is really all you can do. Easier said than done though, I know!! I think the best and most effective way for me to edit my wardrobe is when I move! I’ve moved for so many times now I became almost ‘heartless’ when it comes to donating and tossing things out. I’ve not missed a single thing and maybe it’s just my personality, I just move on… My tip is just let go. Thanks for sharing Mun! Moving is definitely a perfect time to do an overhaul. I shudder to think of allt he crap I brought with me from apartment to apartment during university. GAH! Love this post, Lee! Thank you! 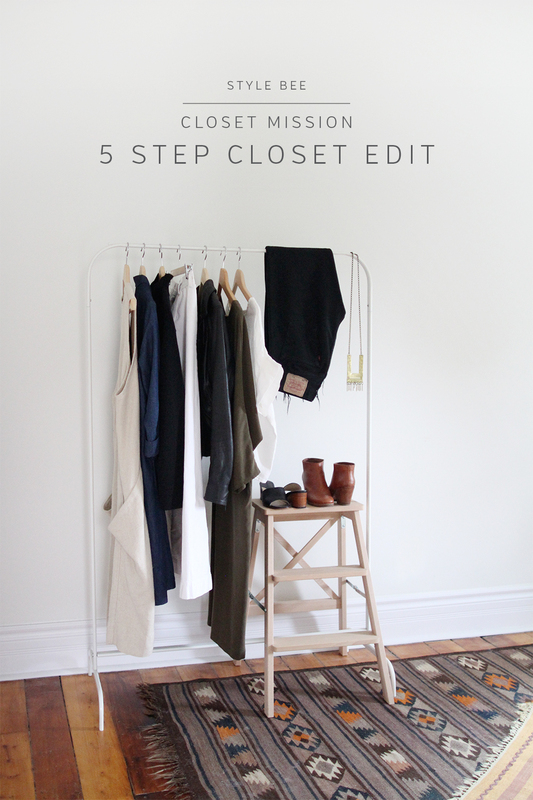 I’ve been planning a closet edit since the 10×10 ended, and so appreciate having a simple set of steps. My favourite part is starting with a specific goal and some key words. My clothing is minimal already, but I keep hanging on to a few items I haven’t worn for years (even though they don’t have sentimental value). So my goal is to actually try them on and decide either to 1) starting wearing them or 2) let them go. As for words, I’m thinking: “me”, comfortable, practical. The “me” part is a work in progress as I refine my style, but goes something like this: androgynous yet subtly femme, comfortable yet thoughtful, classic with a subtle edge. Thanks again for the inspiration! Thanks Alex! I think any degree of ‘editing’ is good for sure! You’ll get to a point where you know instantly whether something will get worn again and then it gets a lot less daunting. I hear you about the hassle of selling, it’s non-trivial! I used to just donate things, then I started using consignment and now I sell them myself but without a substantial social reach I don’t think it would be worthwhile (it’s just barely worthwhile as it is!). Hi there! So thrilled to read this as I’ve been meaning to do an edit, and it’s particularly time-relevant for me as I’m preparing to move (what better time :)). One particular question: which wooden hangers do you prefer? Do you have any warnings about particular brands that let clothing slide off them more easily than not? Wanting to avoid that, of course, but I’m hoping to slowly switch plastic and metal ones out and make the investment in the nicer and nicer-looking wooden ones as I edit. Thanks! Excellent post, Lee! Now I’m extra motivated to do a big closet edit this season. The closet edit felt like too big a project to tackle today, though, so instead I did a big clean-out of my jewelry stand drawers just to start. I think I’ll tackle the closet this weekend. Just wondering: do you ever find yourself doing jewelry edits, or have you always kept a slim collection? I think I’m always more inclined to keep way too much jewelry that’s been hoarded over the years, and it seems much harder to part with/donate. I love how clearly you break everything down, and the photos help so much, too! I really appreciate all the thought and care that you put into your posts. 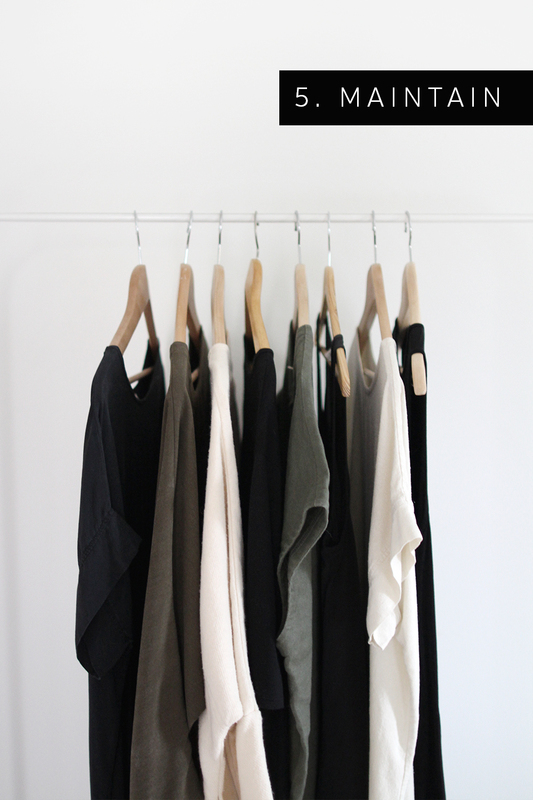 Looking forward to seeing your F/W 50-piece closet later this week. Thanks so much Hilary! Oh totally, you need to be in the right mindset for an edit otherwise you won’t enjoy it or you’ll cut it short. Jewelry is a great place to start. I try my best to edit my jewelry but it’s tricky because even pieces I dont wear often, I love, so I’m reluctant to let them go. They don’t occupy much space though so I give myself a little wiggle room when it comes to that category. If you don’t feel like it’s impeding you in any way, I wouldn’t stress about getting rid of too much. On the topic of maintenance, I’ve found it necessary to make sure I care properly for the shoes and clothes that I love to make sure they’ll last more than a season or two. For me, this meant investing in shoe polish and shoe trees for my nice leather shoes, and a sweater comb and pet hair and lint brush for my sweaters (dog hair everywhere!). I’ve also been more proactive about taking things to the tailor if they aren’t quite right. 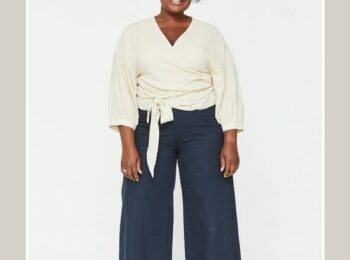 For example, last fall, I was really into cuffed skinny jeans, and this year, the trend just didn’t feel right, so I got most of my skinnies shortened an inch or two. It seriously felt like I had a brand new selection of denim for the season but was much more friendly on my wallet and the environment. Kristy, Thanks so much for the maintenance tips. You’re absolutely right, so key! Finding a good shoe care kit was a big step for me and same with sweater combs and lint rollers (I would not be able to leave the house without them!). We just moved so I did another closet edit, and basically edited everything we owned! Even though we are moving into a bigger space, with more bedrooms I didn’t want to bring anything we didn’t love. Ended up getting rid of two pieces of furniture, 4 boxes of stuff and 3 more bags of clothes! With all the clothes I’ve got rid of these last 2 years it’s a surprise I am not naked! Lol! No it’s not- I love to shop too much! Ugh. This brings me to my last point, about to embark on a 2 month no shopping ban. Except for a pair of gloves, which where I live is a need! My goal is still to shop less. Looking forward to your next post. When I counted mine all out it was just under 50, if I included coats, and boots too. Happy Halloween to you too lee. ???? Thanks Jodie! Moving is the best time to do a big overall edit for sure! Good for you for being ruthless! Your comment about being naked made my LOL for real, I’m the exact same about editing (and loving shopping). Good for you for going on a 2 month shopping fast! I’ve been pretty good but I just bought a pair of Chelsea boots from Rachel Comey and I’m eagerly awaiting their arrival. I need a new Winter Parka and maybe 1 or 2 cold weather items and I’ll be set. I just got these gloves from American Apparel (in both colours) and they’re pretty good! I love the long wristband and they’re perfect for cold morning dog walks 😉 Not going to be warm enough for Jan/Feb here but they’re a great in-between option. Don’t apologize for going all KonMari on us! I love it. ??????? ?